Rabbits are known to cause considerable losses to agricultural and horticultural industries. They can cause serious environmental problems such as soil erosion and degradation of native vegetation. Rabbits also compete with native fauna for food and habitat. Rabbits may be a problem or a nuisance in urban environments where they can damage lawns and gardens and may undermine buildings, garages and sheds. Rabbits can also damage golf courses, sports grounds and parkland reserves. 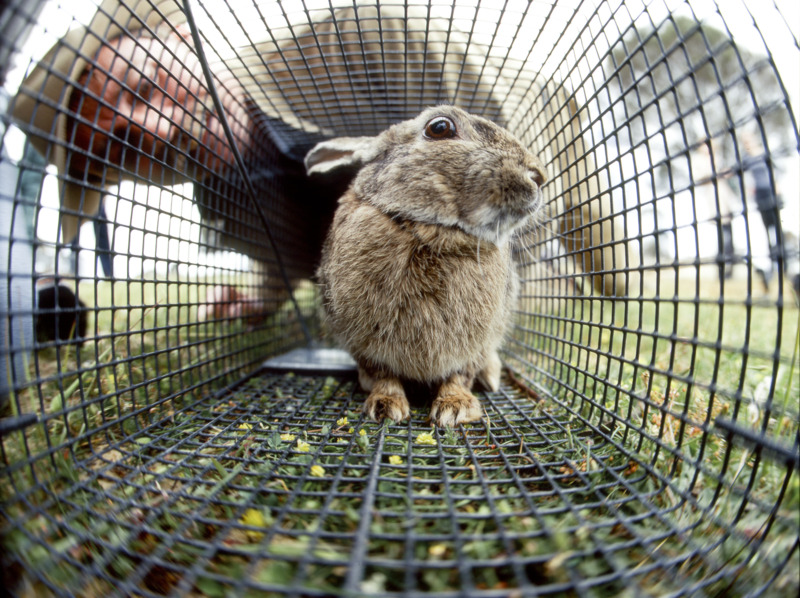 The options for control of urban rabbits are more limited than are the techniques available to rural landholders. Complicating factors in urban areas include public health concerns and the presence and proximity of neighbours, domestic pets or livestock. In Western Australia (WA), rabbits are declared pests under the Biosecurity and Agriculture Management Act 2007. The Western Australian Organism List (WAOL) contains information on the area(s) in which this pest is declared and the control and keeping categories to which it has been assigned in WA. Use the links on this page to reach rabbits in WAOL. All control activities must comply with requirements under the Animal Welfare Act 2002 and Animal Welfare (General) Regulations 2003 so that animals are handled and killed humanely. It is an offence to release any declared pest back into the wild. Eliminate the rabbits (trap, poison, fumigate, ferrets). Prevent rabbits from entering the area (fencing). Limit the amount of damage (harbourage modification, tree guards, repellents).